UPDATE: Advice Local has surpassed 1,000,000 manual local citation submissions! Expectations are the foundation for any Local SEO campaign as was detailed in this blog post. After these critical expectations have been set and understood on both sides, the data gathering gets underway. Get to know the point of contact within the organization; this includes the contact name, email and phone number. Make it a point to communicate early and often about the plan of action and how execution of that plan will benefit the next step in the Local SEO process. After establishing a working relationship with the point of contact, begin collecting necessary information in regard to data specific to the Local SEO campaign planning. A vast amount of past experience has shown me that the client will not always get their own Brand name correct when providing the Digital Marketing Agency with NAP (name, address, phone number) assets. The business brand name, the “N” in NAP, provided should be consistent with the DBA (Doing Business As) in the respective state where the business owner has registered the brand name and it is on file with the governing state. The brand name should also display consistently with the USPS (United States Postal Service). Secondly, the business street address, the “A” in NAP, is the official street address listed with the USPS and most often delegated from the county where the business is located. This includes the suite or unit number. Do not be surprised when Google changes the words “suite” or “unit” with “#” (otherwise known as sharp, pound, or hash). Experience has also shown that any county government can and will re-zone, move boundaries, and eventually change an address. There is something to say for the actual spelling of the street name and that is make sure to double and triple check the data the client provides. Again, experience shows that some clients do not know what their address is, as strange as that may seem. 777 White Hat Dr. is not the same as 777 Whitehat St. Using a space between two words that seems to be accurate, may not be the actual street address. I only bring this up because it does happen…some clients do not know their own address, so check it at least three times; Google Maps, USPS, and the County Planning and Zoning Commission in charge of addressing. Situations such as these are few and far between, but when an inadvertent address change happens, contact the county planning and zoning commission (address changes) and the nearest USPS Postmaster to get a clear explanation of any change that may affect the NAP data. If the client’s business has a PO Box, Regus suite, or any other non-legitimate physical address, the expectations set at the beginning of the Local SEO process should have filtered this information. Make a note of these two answers as this will influence how the Google Local listing is setup in regard to service area businesses and the ability to do business at the physical address location of the business. Some may say that the business owner should know the city in which their business is conducted. Again, this can change at the drop of a hat and the business owner may be the last to know when the county decides to do a bit of meandering, most often times for political purposes. The same goes for the zip code, which can change as well. The business state in which commerce is conducted will often times not change unless the client actually moves out of state. It is a rare event that state lines are moved or changed. However, it does happen due to long standing border disputes that may go back more years than you have been alive on planet Earth. 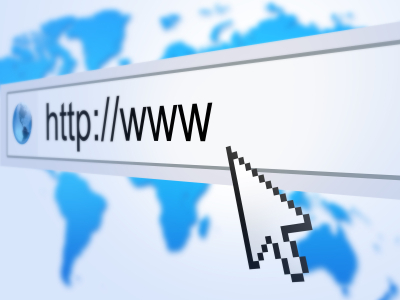 The next critical piece of data is the business website URL. Left to their own best decision making, the business owner can and will get this simple bit of information wrong. Be sure to check the URL in a browser and watch for redirects. If the vital domain property for the business uses www in the URL, that is the proper way to reference the business website address. Also, make note of http and https and get that right. If the website uses SSL for a reason and it has a purpose, utilize the correct URL each time the website is referenced. This is important due to the link back to the website from any high authority structured and un-structured citation source. Provide special attention to the local business phone number. The area code and prefix will provide the much needed direct correlation to the business zip code. An often overlooked piece of branded information is the email address. 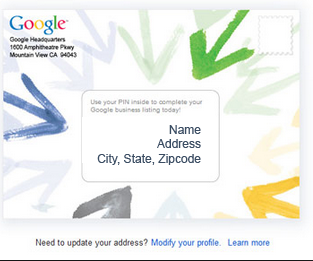 It is best practice to utilize a branded domain email address for citation submission and Google Local optimization. This branded domain email address provides a level of trust with the search engines and the high authority citation sources, especially Factual Data which will move faster when acting on a request for adding or modifying a business listing, if a branded domain email address is provided versus a throw-away email address such as a Gmail or Yahoo email address. The branded domain email address must match the domain URL. Each business will have a standard Hours of Operation schedule that they adhere to. Make sure this information matches the data in the HTML of the website. Google, Bing, Yahoo, and any authority citation sources that the client business may have established in the past. After establishing the expectations, build upon that relationship with solid data gathering. This step provides the cornerstone for a successful campaign regarding how to do Local SEO. When all else fails, call Google Local Support.